Product prices and availability are accurate as of 2019-04-11 15:18:47 EDT and are subject to change. Any price and availability information displayed on http://www.amazon.com/ at the time of purchase will apply to the purchase of this product. 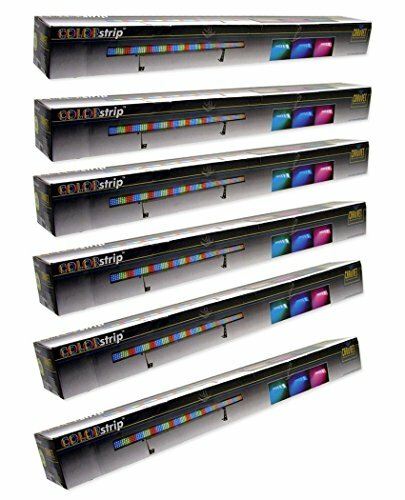 4-channel DMX-512 LED linear wash light. Blackout/static/dimmer/strobe. 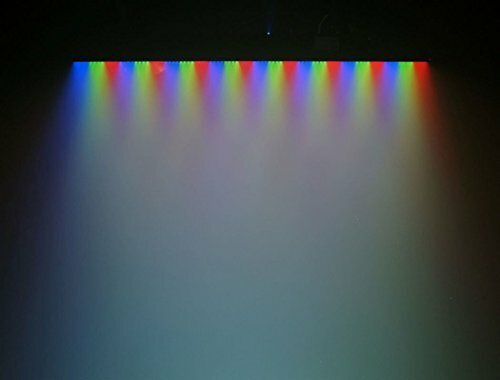 Static colors and RGB color mixing with or without DMX controller. Built-in automated programs via master/slave or DMX. Built-in sound active programs via master/slave or DMX. Linkable with COLORbankTM LED and COLORbankTM LED 2. Additional power output: max 32 units @ 120V (see manual for details). Additional slave output allows for color-changing runway effect (up to 31 units). 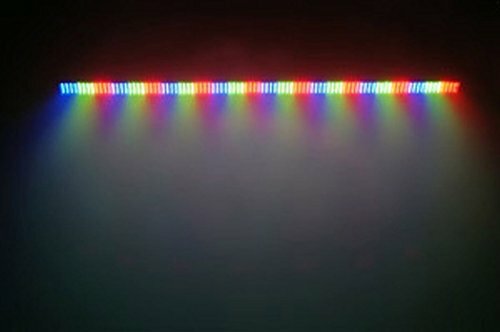 Optional COLORstripTM Foot Controller (LED-FS1). Beam angle: 63° x 29°. Field angle: 82° x 52°. Lux: 1,127 @ 1m. 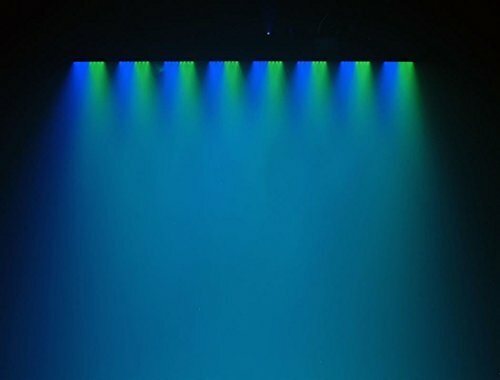 Light source: 384 (128 red, 128 green, 128 blue) LEDs 100,000hrs. Power and current: 120V, 60Hz: 33W, 0.3A operating, 0.2A inrush. AC power: Autoswitching 100V - 240V 50/60Hz. Weight: 4.5lbs (2kgs). Size: 38in x 2.5in x 6in (965mm x 64mm x 152mm).